The Blood is our signature deep red blood. 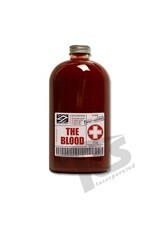 It reflects the true color of blood that is commonly seen in most cases when bleeding more intensely. It has a deep red undertone with a slight hint of yellow. 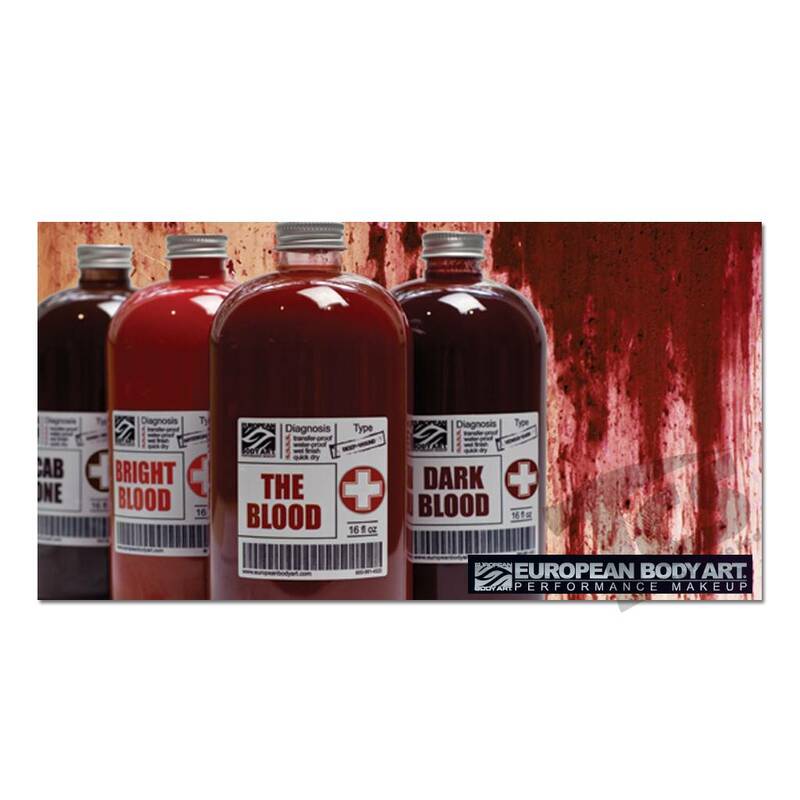 European Body Art’s Transfusion Blood Collection implements a unique and exclusive formulation delivering previously unseen quality, performance and attributes. It meets the long anticipated demand for a completely waterproof and fast drying blood that doesn’t move, transfer or smudge, yet, provides a long lasting fresh wet look. Thus, artists, makeup studios, actors and makeup enthusiasts can rely on EBA’s Transfusion Blood Line to stay put and look real from start to finish eliminating time consuming touch ups and messy transfers while providing ultra-realistic looks. 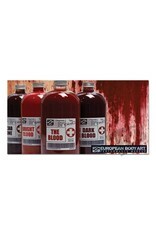 Transfusion Blood Line by EBA is a premium stage and film blood offered in 4 distinctive shades: Light (arterial), The Blood (medium dark), Dark (venial) and Scab (dark brown). 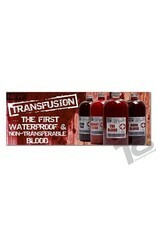 Unlike most syrup based bloods, Transfusion Blood dries fast, doesn’t bead and it is not sticky. It dries completely to a high gloss finish giving it the appearance of gooey wet blood. 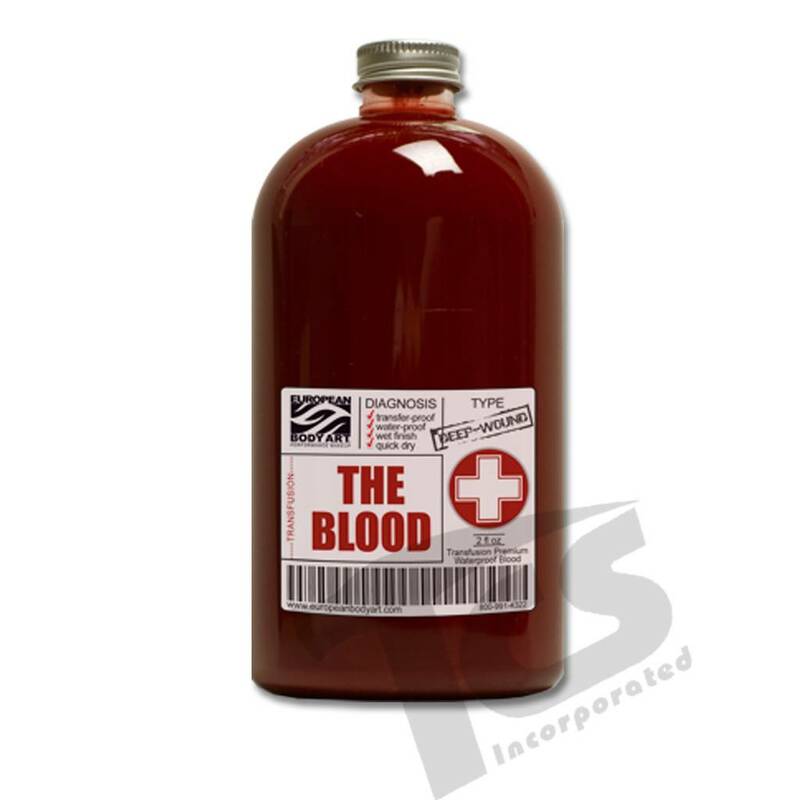 Moreover, the Transfusion blood can maintain its shape even after drying providing the ability to create effects such us dripping blood, blood spills and deep wound bleeding. 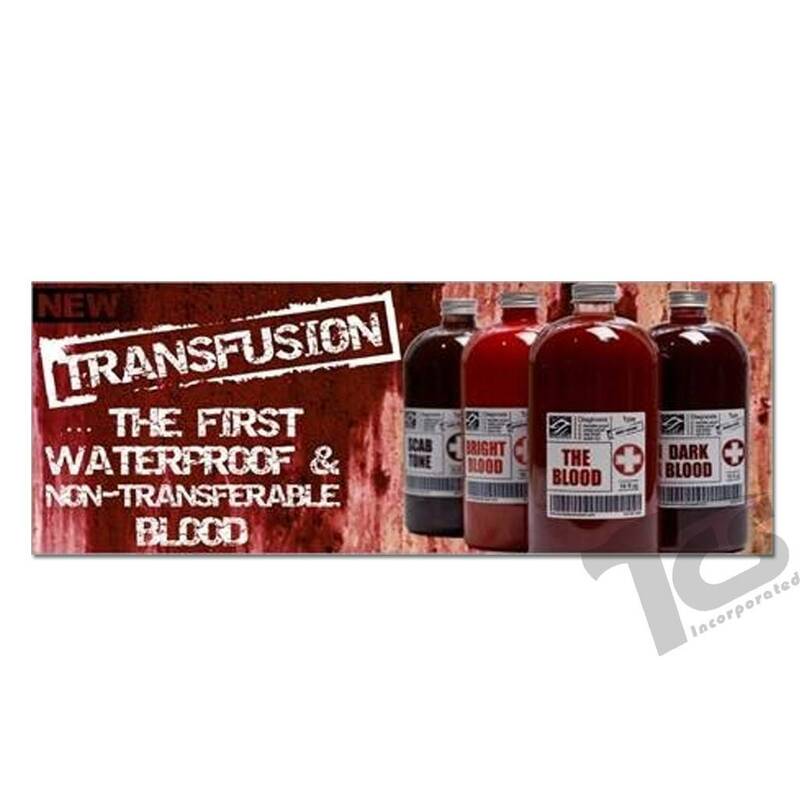 The Transfusion Blood Collection is designed, tested and made in the USA by European Body Art in compliance with FDA requirements.